This was the paso of Borriquito (Little Burro), from the Iglesia de Carmen, and it depicts Jesus entering the city of Jerusalem on a little burro. 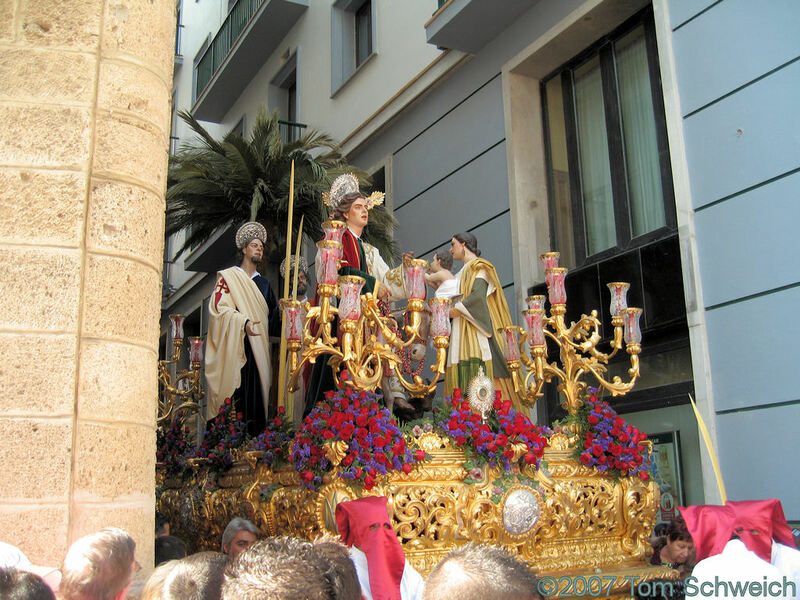 It is the first “paso” of Semana Santa in Cadiz. They left at 4:00 PM and after passing through the Cathedral would return at Midnite. This was not a large paso consisting of only a few hundred Nazarrenos, the two floats, one for Jesus and one for Mary, and band for each.